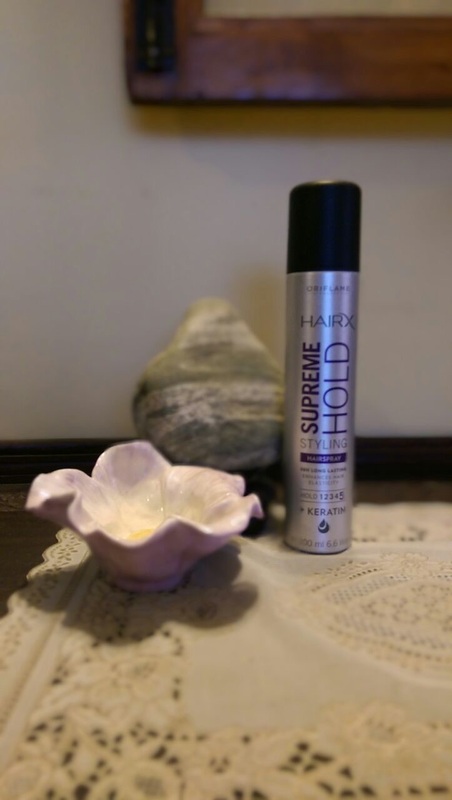 Experience:- The first product that I tried and absolutely loved was HairX Styling Hair Spray. I loved the consistency not thick like most hair sprays. It smelt really good and the fragrance really stayed in my hair for long. My hair stayed shiny for a good couple of hours. Easy to apply and the best part is that my hair did not feel sticky. That is a problem I have with most hair sprays, they flatten your hair and make them look dull and oily. 😕 But this spray from Oriflame is a winner. 😀 I applied a decent quantity and my hair remained styled for atleast 4-5 hours. Appearance:- It comes in a sleek silver 200 ml bottle with a black cover. It’s quite big so maybe not ideal if you are travelling else it can sit pretty on your dresser. Yay or Nay:- This one is a keeper on my list. My hair felt really good all day despite stepping out in the Sun for an hour or two. So finally, I have a Hair Product which I can use and be happy about. Rating:- I would give it a 4/5 as it comes really close to your hair looking as natural as can be, it is reasonably priced for good quality. 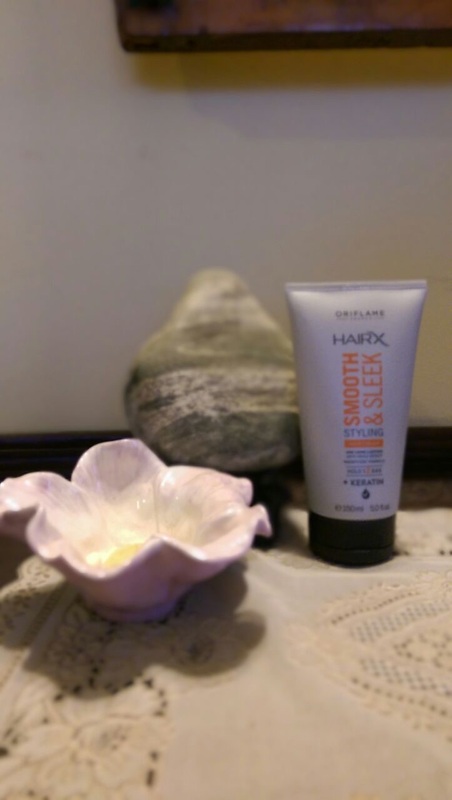 Experience:- I tried the HairX Smooth cream after I had used the Hair spray so don’t judge me if I am a bit biased. Try it to form your opinion. 😃 A slightly thicker creamy like consistency. Apply little than usual to start with and then style. My hair style didn’t last as long as the HairSpray. Appearance:- A 150/- ml Tube again in Silver and Black. This one is compact and easy to carry around. It is translucent and slightly thick. For best results apply to damp hair and style your hair as you wish. Even for heat treatment, it is advisable to use before styling with a dryer or iron. Damages or Benefits:- The cream is all of 399/- INR. For 150 ml it could be tagged as a little steep. But again it entirely depends on how often you use hair styling products and in what quantity. Rating:- I would give it a 3.5/5 as it’s tad more expensive and maybe you could get a better hair styling Product for a lesser amount. Have you you tried these Products by Oriflame? Do let me know your reviews. Stay Fab and Kep Scribbling..